We’re currently involved in managing a global rebrand for AXA XL; a new division of the AXA Group since announcing the acquisition of XL Catlin. This new division combines the original XL Catlin operations with AXA Corporate Solutions and AXA Art. Having worked on XL Catlin’s re-brand several years ago, AXA commissioned us to manage this new rebrand programme. We have been managing the change across external and internal signage, reception areas and graphics, and site-specific special branding requirements. We’re back with more #meettheteam interviews and the latest person we’d like to introduce you to is Becca, one of our more experienced designers who takes the lead in our creative and marketing projects. 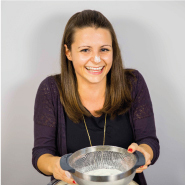 Like a few others at Integrity, Becca graduated from Brunel University and joined the team in 2014. During her time with us, she has worked on a range of clients from, Sainsbury’s to Center Parcs and specialises in creative and strategic thinking. We’ve been busy since April working alongside Waitrose & Partners and their designers at Pentagram to translate the new brand identity across all customer journey elements ready for the big launch on 4th September. The crisp new identity needed some highly controlled prototyping to achieve the accuracy needed. We went through a three-stage prototyping process to get every element just right, including applying embedded LED technology for high impact and low energy. Here are some photos of the first two sites re-branded by us for launch day - we're busy working on the next batches of sites and excited to be part of this business transformation over the coming months. With an increased use of technology and online shopping, there has been a natural reduction in the number of visits to dealerships prior to purchasing a car, providing less opportunity for brands within this industry to connect with their customers and provide positive and memorable experiences. We helped SEAT to understand the recent changes in their customers’ needs and expectations by observing and analysing the new and used sales and aftersales customer journeys within their dealerships across the UK. While at these retailers we also interviewed SEAT customers and brand managers to understand how effective the current point of sale is and how this impacts the customers’ experiences. 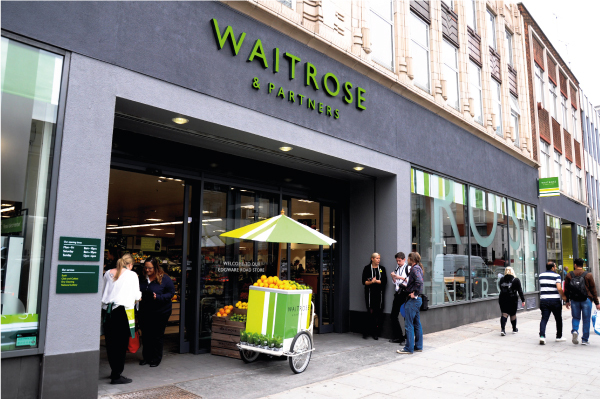 The team at Integrity have worked with Waitrose for over 25 years to ensure the customer journey at every store provides an excellent customer experience. We have managed two previous rebrands, so as a trusted partner, when Waitrose decided to update their identity, they turned to us to deliver their vision across every element of signage and customer journey. New year. New start. New office. What if a supermarket could fit in a rickshaw? 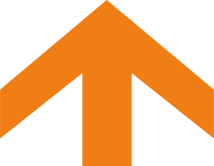 If you would like to know more about us and how we can help you, get in touch, or click the addresses to find us on Google.